We chose 14 fairly common foods that research proves can be helpful for weight loss. Some, like Eggs, Greens, Salmon and Almonds are recommended for nearly all diets. Others like Oats, Apples, or Chia seeds are great choices for many people, but are fairly high in carbs so don’t fit well in Low Carb, Paleo, Mediterranean, Nordic, Atkins, or Keto diets. Anyways, here’s our list and some of the science behind how they can help you lose weight fast without depending on fad diet pills like Garcinia Cambogia. I hope this gives you some good ideas. Government guidelines that once slammed the cholesterol in eggs now admit they were wrong. Dietary cholesterol does NOT raise your cholesterol levels, and in fact are very nutritious. (1, 2). In fact, eggs are one of the very best foods for weight loss. A large egg is about 70 calories, 5 grams of fat, 6 protein, and no carbs (3). The balanced protein and saturated fats them very filling, and are nearly perfect for low carb dieters. With no carbs, the score a zero on the glycemic index, so won’t raise blood sugar levels. Simply eating eggs instead of bagels resulted in significant weight loss for participants in this eight week study (4). Another study showed that eating eggs instead of bagels increased feeling of fullness (satiety), and resulted in less calories consumed later in the day (5). After the fermentation process, Kefir is much lower in Carbs and Glycemic Index than milk. It contains more than 20 different strains of friendly bacteria, including many lactobacillus and bifodobacteriam strains which are beneficial (6). 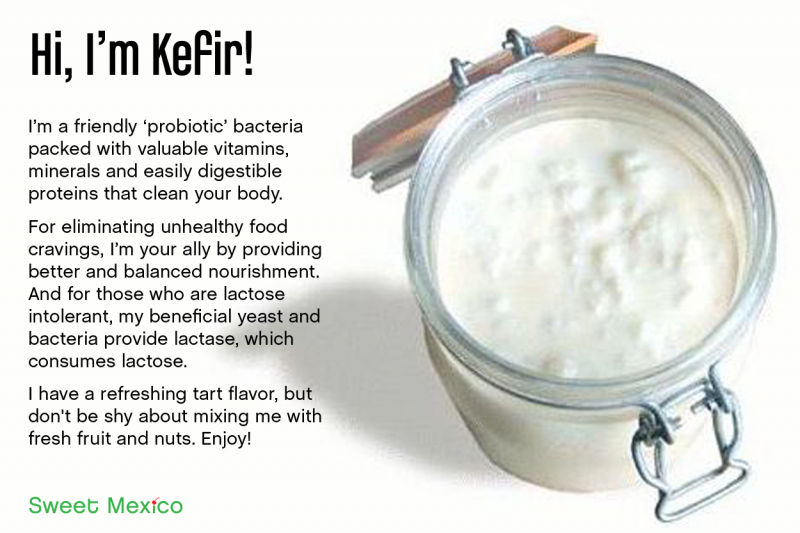 Kefir also has beneficial yeasts which combat intestinal parasites like E. coli. The fatty acids in Kefir are between 80-95% CLA – Conjugated Linoleum Acid (7). CLA helps glucose fill muscles cells more effectively, preventing glucose from being converted to fat. Like eggs, Avocados have gotten a bad rap from (faulty) mainstream nutritionists until just recently. Now that we know that “eating fat doesn’t make you fat”, attitudes are changing and Avocados are recognized as a very healthy diet choice. Avocados are very high in a particular kind of fat – monounsaturated oleic acid. Oleic acid has been linked to reduced inflammation and been shown to have beneficial effects on genes linked to cancer (11, 12, 13, 14). With only 1 gram of carbohydrates as sugar and the rest being fiber which slows the absorption tremendously. 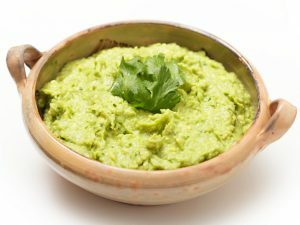 In fact, the glycemic index of Avocados is so low that the American Journal of Clinical Nutrition doesn’t even bother to calculate it (16). 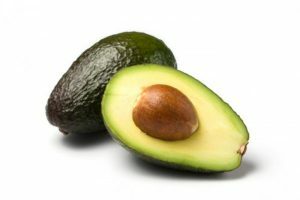 High fats and fiber give Avocados a high satiety index, which was proven by research. A study found that compared with other foods, subjects given Avocados were 23% more satisfied and were 28% less likely to eat for the next 5 hours (17). They also contain nearly 20% of the RDA for potassium – an important mineral that most people need a lot more of (18). Leafy greens such as spinach, chard, collard greens and Kale are very nutrient dense, but low in calories for volume and high in fiber. 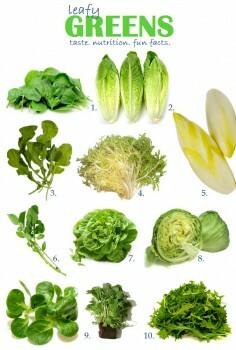 Most leafy greens have fewer than 10 calories per cup which make them one of the very best foods for weight control. Research proves that including very low in energy density foods result in fewer overall calories consumed and has been proven in many (19). Fish are very high in protein, so are recommended by nearly all diet plans. But some fish are more healthy than others, with Salmon, mackerel, trout, sardines and other oily fish being at the top of the list. 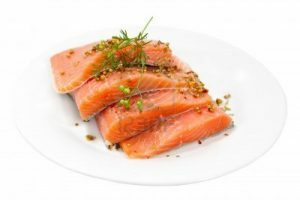 Salmon in particular is high in Omega-3 fat which has numerous health benefits besides combating metabolic disease (21, 22). One study found eating farmed Salmon 2 times a week resulted in 50% higher levels in the blood of the important Omega 3 fat DHA (23). 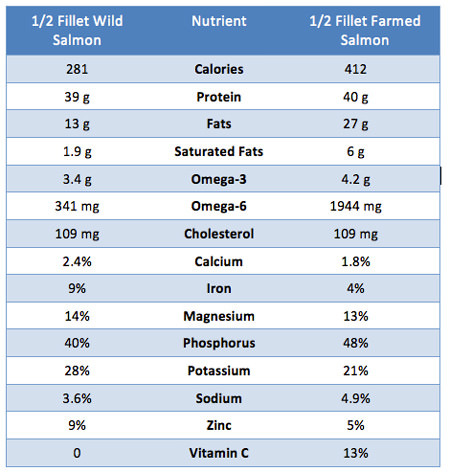 There are noticable differences in Wild vs Farm-raised Salmon, as this table shows. According to the USDA, wild Salmon has 130 less calories than farm raised Salmon per serving. These calories are mostly from fat, but not the good Omega 3 fats that we need more of (24). Unfortunately, farm raised Salmon are much higher in Omega-6 fats. They also have 3 times as much saturated fat. Not terrible, but not as beneficial as Omega 3 fats. Those on a Ketogenic diet might actually prefer the higher fat content of farm raised Salmon. Others would probably prefer the lower calories of Wild Salmon. As fruit go, they are fairly low in calories, with an excellent Glycemic Index, but it isn’t obvious why Grapefruit has been so popular with dieters for decades now. 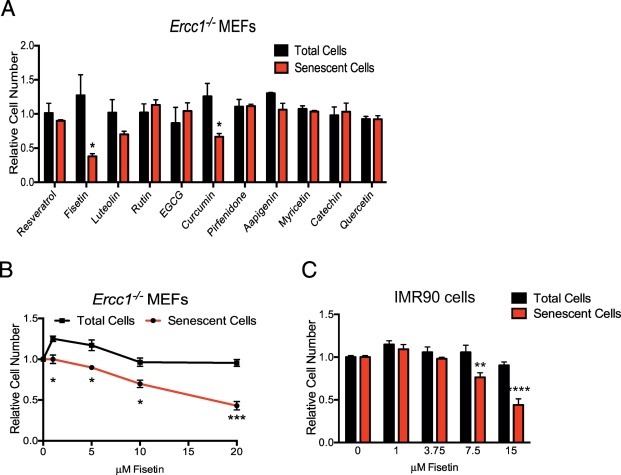 The answer rests on AMP-activated protein kinase (AMPK), an enzyme that helps muscles use stored sugar and fat for energy. AMPK activity is increased by exercise, but can also be activated by certain food substances such as Polyphenols and Capsacin. 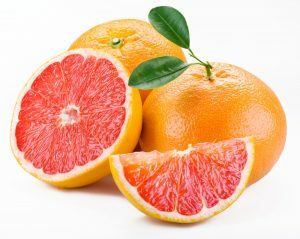 Another such substance is Nootkatone, a component found in grapefruit has been shown to significantly increase AMP-activated protein kinase (AMPK) activity (25). Researchers found that study participants given 1/2 a grapefruit or the same quantity of juice before meals lost an average of 3.5 pounds over 12 weeks (26). 3.5 pounds isn’t huge, but that was from eating just 1/2 a grapefruit with no other changes. Participants also had lower blood glucose and insulin sensitivity. 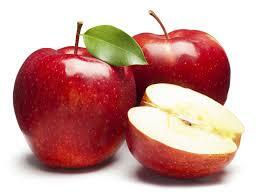 Apples are all carbs, with no fat or protein, which normally isn’t great for weight loss. The antioxidants and nutrients may help reduce risks of hypertension, diabetes, cancer, and heart disease (27). For weight loss, a 12 week study showed women that added one and a half large apples daily to their diet lost on average about 3 pounds (28). This low energy density, glycemic index, and soluble fiber make it an excellent food for weight loss for most people, although the 25 grams of carbohydrate is problematic for those on Low Carb or Ketogenic diets. Oatmeal is fairly high in calories and carbs. But they do have a fairly low glycemic index of 55 so the calories are absorbed fairly slowly. They contain the soluble fiber beta gluten, which has been shown to increase feelings of satiation, and fight insulin resistance and hypertension (31). Studies show that compared with standard breakfast cereals of the same calorie count, oatmeal provides more protein and fiber, less sugar, and induced greater satiety (32). 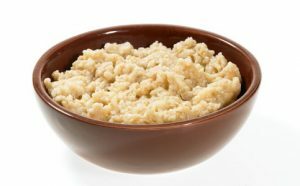 In another study published in 2013, subjects who consumed oatmeal for breakfast over 12 weeks had reduced weight, BMI, and waist to hip ratio. ** Before I went Keto and had to cut the oatmeal, one of my favorite tricks was mixing it with Cottage Cheese. Tastes yummy and gives you a nice balance of carbs and proteins. We could list Chicken and Pork here as well, but are focusing on Beef to also address what we feel is some unfair criticisms Beef suffers from. 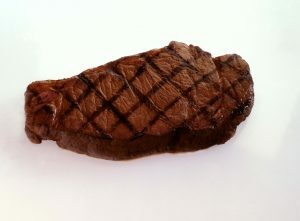 Research shows that eating red meat does not increase risks of diabetes, hypertension, or heart disease (34, 35). Other studies show no increase in cancer risks for women from consuming red meats, and only a very minute increase in risk for men (36, 37). Studies show there are many benefits for eating beef, as a high protein diet can increase metabolism to burn up to 100 calories more each day (38, 39). Other research demonstrates that increasing protein to 30% of total calories can cut hunger and result in weight loss of a pound a week (40, 41). 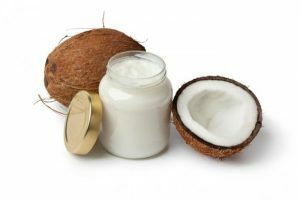 Coconut oil is composed almost entirely of Saturated Fats, which faulty advice has caused many people to fear unjustly. This very healthy oil is unique in that it is nearly all Medium Chain Fatty Acids (42). Unlike all other fats, Medium Chain Fatty Acids bypass the digestive system and go straight to the liver to be used for energy or ketone bodies. Studies show that consuming coconut oil increases metabolism compared to equal calories of other fats (43, 44). Another study showed taking 2 tablespoons of MCT fats per day increased energy consumption (fat burning) by 120 calories per day (45). Coconut oil also helps suppress appetite. Studies show that eating MCT fats cut hunger and participants consumed less calories throughout the day – up to 250 less in one study (46, 47). 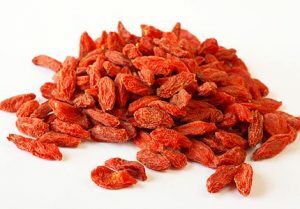 Goji Berries are harvested from the Lycium Barbarum plant, from the box thorn family. They are native to southern Europe and Asia, but most commercially produced Goji is from China, where it is also known as Chinese Boxthorn or Wolfberry. They have a lot of protein, high dietary fiber and low glycemic index which makes them filling without raising blood sugar levels. Goji berry is an adaptogen that is claimed to reduce stress levels and lowers cortisol levels which promote weight gain (49). The ORAC value of Goji Berry, which measures antioxidant levels, is about 10x higher than other fruits like Oranges or Blueberries, and is comparable to Acai (50). A 2011 double blind study with Rodents given Lycium Barbarum extract showed increased metabolic rate and reduced waist size compared to placebo (51). In 2008, a 14 day study of adults given Lycium Barbarum showed improved Energy Level, athletic performance, quality of sleep, and gastrointestinal function (52). One downside of Goji Berries is the cost – they are fairly pricey. Almonds are high in protein and fiber which has been shown to promote satiety and result in lower overall calorie consumption (53). The also have a very low glycemic index which means those calories are absorbed very slowly, making them an approved food source for diabetics (54, 55). Nearly all of the fats in Almonds are mono- and polyunsaturated fatty acids, which are known to have positive effects on heart disease (56). Almonds are fairly high in calories, so should not be consumed in massive quantities, but rather serve as a handy snack between meals to alleviate hunger. Chia seeds contain 12 grams of carbohydrate per ounce, which is fairly high, but 11 of those grams are soluble fiber. This soluble fiber makes Chia seed much like Glucomannan, in that they absorb more than 10x their weight in water, and turn into a gel in your stomach (61). Not only is this very filling, but the soluble fiber acts as a prebiotic for the beneficial bacteria in your gut – the Probacteria that have weight loss benefits as well (62, 63, 64, 65, 66, 67). The 9 grams of fat is mostly Omega 3 fats, which have tremendous benefits for heart health. 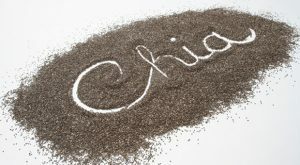 Chia seeds are also high in Vitamins A, B, E, and D, iron, magnesium, iodine, niacin, thiamine, and many antioxidants (68). Studies show consumption of chia seeds suppress appetite, but so far they are inconclusive at proving weight loss (69, 70). Numerous research studies and clinical trials have shown capsaicin gives a boost to metabolism to increase fat burning, and also helps suppress appetite (71, 72, 73). 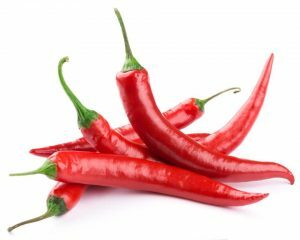 However, one study shows that the increased fat burning and hunger suppression is more effective for those who are not used to consuming capsaicin, and the effects diminish over time (74). None of these are miracle foods that you can use to reach your weight loss goals all by themselves. But they are all healthy choices and do have modest benefits for weight loss, proven by research. Incorporate as many of these foods as you can into your diet in place of less healthy alternatives and you will see results.